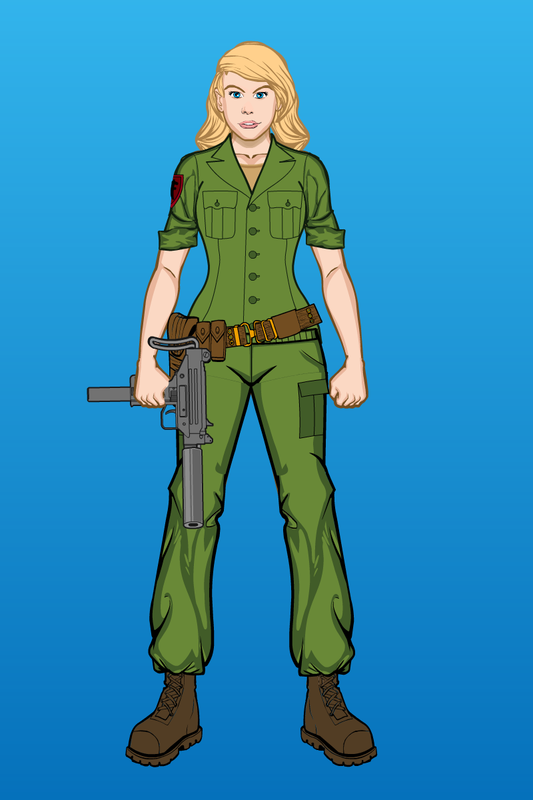 Continuing with Larry Hama’s Fury Force, here’s Brujo and Lilah Galil. Lilah is shown in some concept art riding a motorcycle. Many G.I. 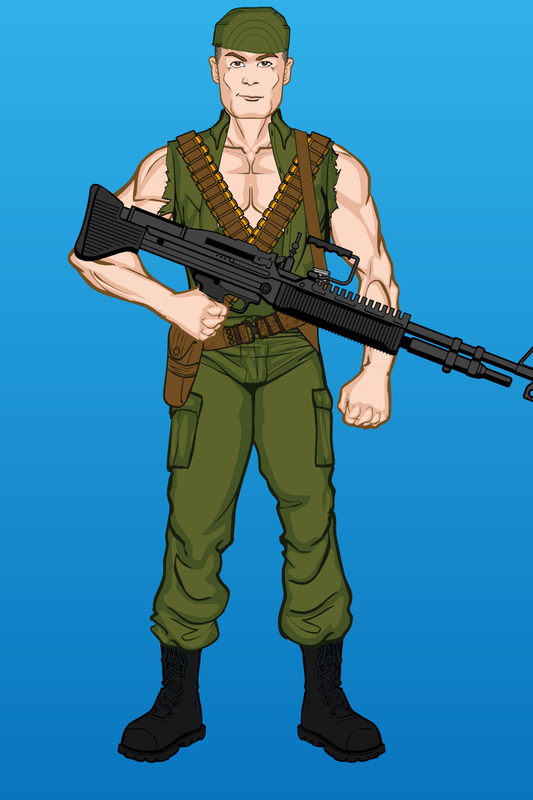 Joe fans know that the 1980’s G.I. 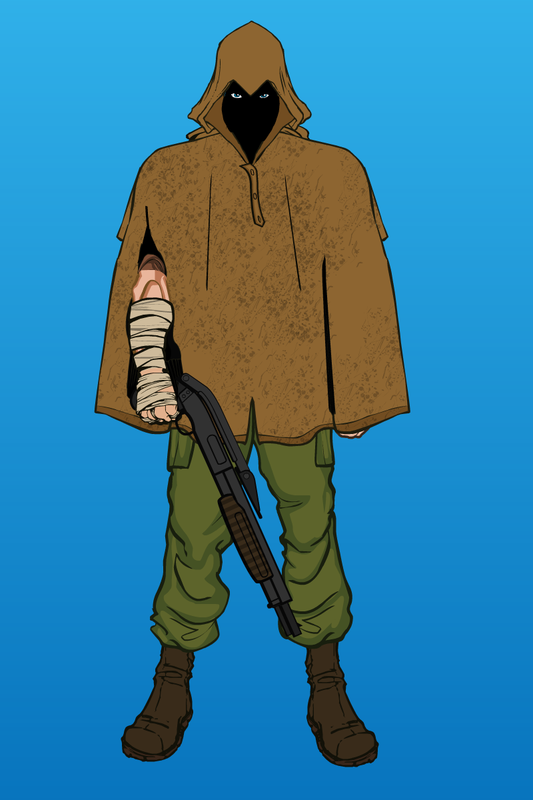 Joe concept incorporated some ideas from Larry Hama’s proposed military series, Fury Force. 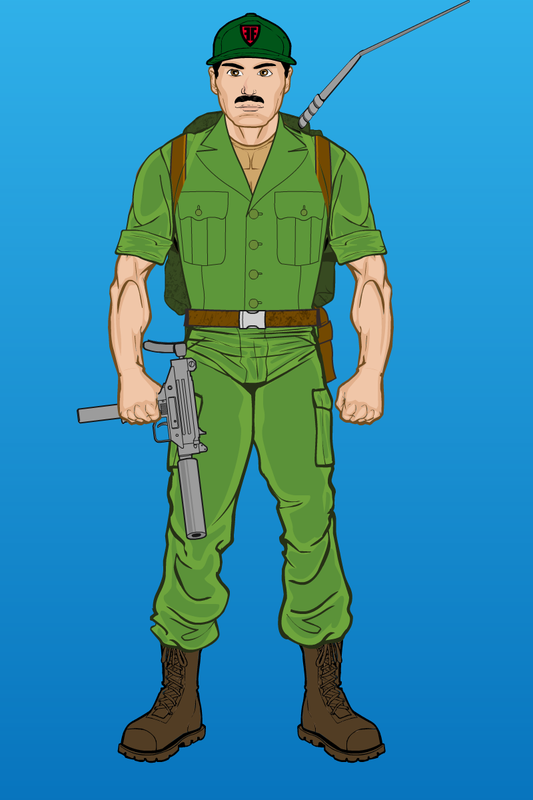 The comic would’ve starred the son of Nick Fury and his team of elite soldiers. You can find more about it easily online. I though it would be fun to recreate Hama’s initial Fury Force sketches. Today, we start we start with a very early Snake-Eyes-like character Spook, and a big guy with a familiar name, Steeler.